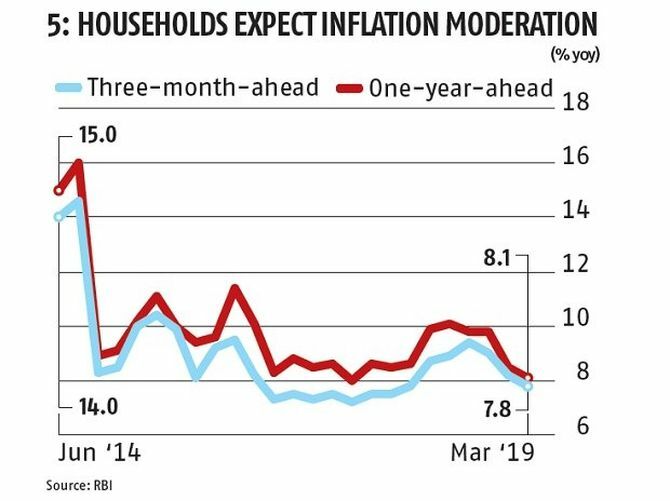 The nudge came from low levels of consumer price index (CPI) inflation, which remained below expectations. 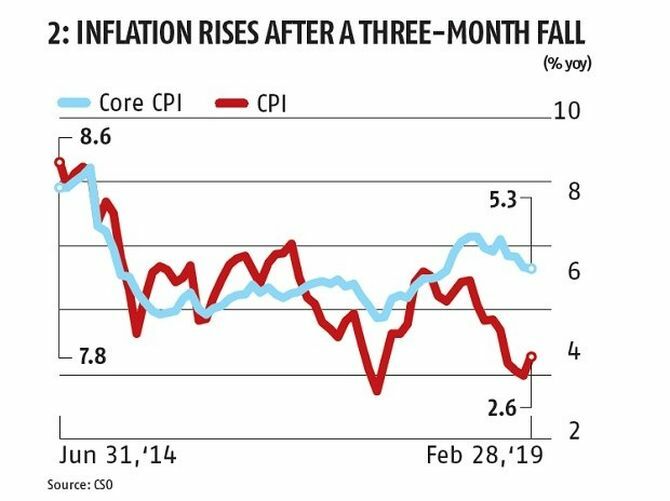 Though the core CPI inflation rate dropped but remained high at 5.3 per cent in February, headline CPI inflation remained low -- rising a bit -- to 2.6 per cent (Chart 2). 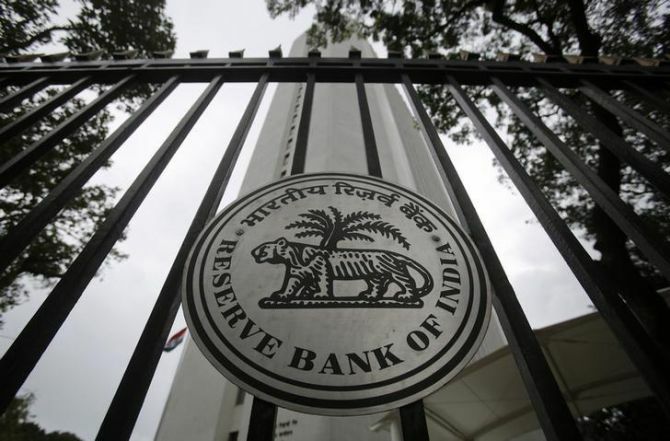 The MPC expects low levels of inflation to continue for a long period. 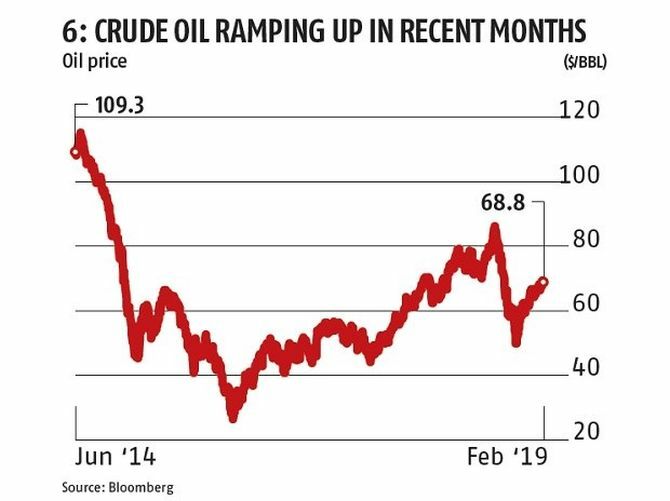 It revised projections downward to 2.9-3.0 per cent in H1 FY20 and 3.5-3.8 per cent in H2 FY20. 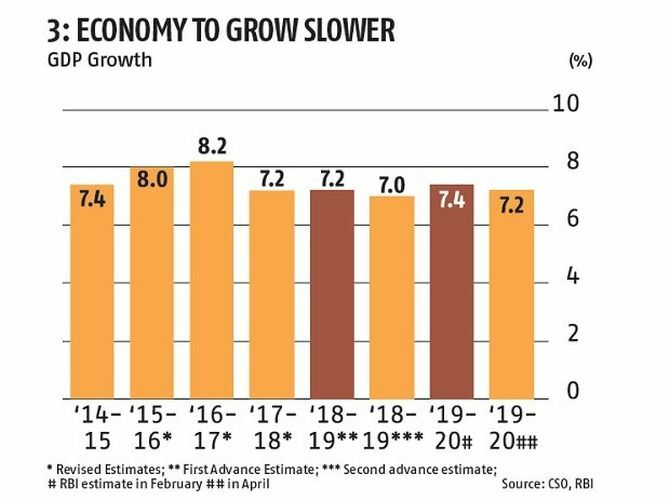 Expected growth in FY20 was subsequently revised downward from the initial expectation of 7.4 per cent to 7.2 per cent (Chart 3). Many high frequency indicators "suggest significant moderation in activity", the MPC noted. 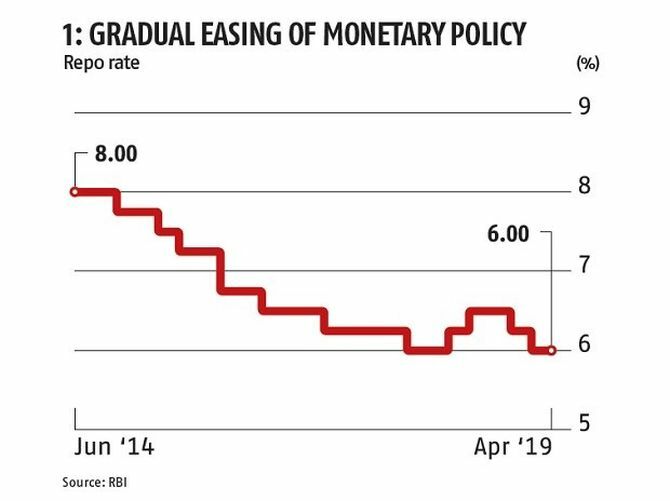 Yet, some macro indicators remained in the positive, with the investment rate rising to 33.1 per cent of GDP in Q3 FY19 from 31.8 per cent of GDP in Q3 FY18. 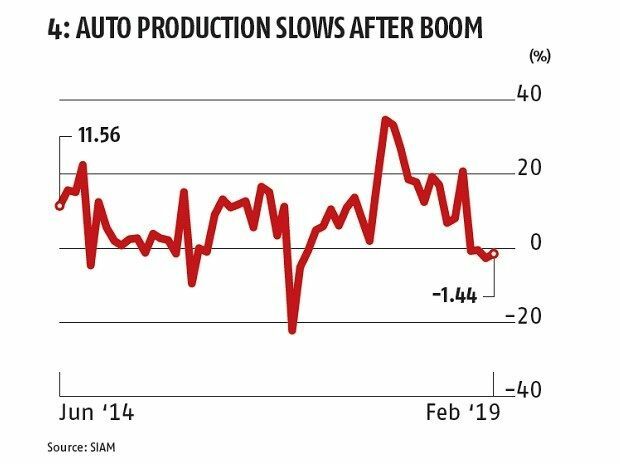 This was supported by "the government's thrust on the road sector and affordable housing," the MPC said. 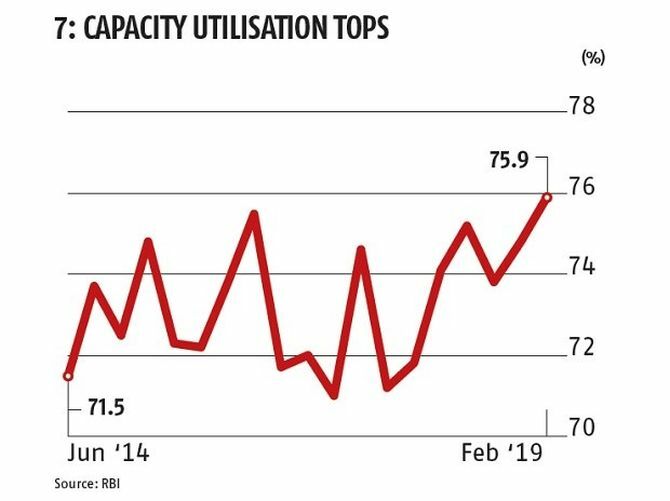 Capacity utilisation in industry rose to its highest in the last six years (Chart 7).